On November 20 and 21, 2018, Chinese President Xi Jinping made an official visit to the Philippines and met with his counterpart Rodrigo Duterte. This is the first time in thirteen years that a Chinese president went to the Philippines. Since Rodrigo Duterte came to power, China and the Philippines have greatly strengthened their relations. Despite certain tensions regarding the South China Sea, following the decision in favor of Manila made by the Permanent Court of Arbitration of The Hague in July 2016, Duterte has adopted an appeasement policy toward China, and proposed that both countries explored together the possible natural resources in the South China Sea. This subject was, of course, addressed during this official visit, and the two heads of state pledged to respect territorial sovereignty. At this meeting, 29 agreements were signed between Beijing and Manila, many of them were about infrastructure projects. Furthermore, China and the Philippines have agreed to think about the creation of a platform to trade in RMB and pesos, and thus facilitate their trade. A memorandum of understanding was also signed to record the Philippines’ participation in the Belt and Road initiative; and Rodrigo Duterte accepted the invitation made by President Xi Jinping to attend the next BRI forum. In October 2016, China pledged to invest 24 billion dollars to the Philippines (including 9 billion in loans and 15 billion in direct investment). However, criticism has been leveled against China that investment from China was yet to see. It is true that until today, few projects have actually been funded by China, except for an irrigation project and the construction of bridges in the Manila area. If these projects are delayed, it is mainly because they require many studies, and that the Philippines must be careful not to get into too much debt. The agreements signed between Xi Jinping and Rodrigo Duterte in November attest to both countries’ willingness to move these projects forward. Infrastructure needs in the Philippines are immense. 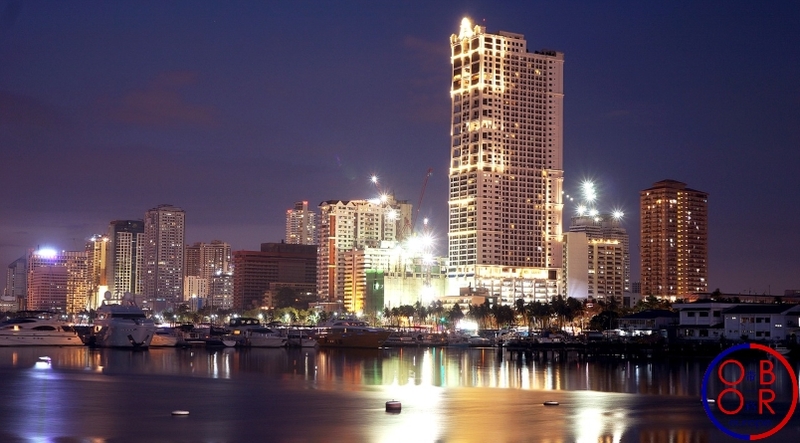 Greater Manila is one of the most populated city in the world with nearly 24 million inhabitants. As experts from the World Bank note, the capital and its region face many challenges such as the fight against poor housing and shanty towns with the creation of new social housing. Manila is also facing major traffic problems, and investments must be made in public transport. The city is subject to severe flooding in the absence of an optimal drain network. Outside the capital, the challenge of connectivity is the most important. The Philippines consists of several thousand islands (7,600 islands of which 2,000 are inhabited), and the government must invest heavily in improving transport and energy networks to ensure the development of the country and reduce territorial inequalities. China’s assistance is therefore welcome in the Philippines. What about Europe and the Philippines? For 2018 first semester, trade with the European Union accounted for only 10% of the total imports and exports of the Philippines, and 26% of trade with Europe is made by Germany alone. But there are real opportunities for European companies. According to the Asian Development Bank, economic growth in the Philippines is expected to reach 6.4 percent in 2018 and 6.7 percent in 2019. Thanks to the BRI, the Philippines will be able to acquire new infrastructures. European companies could participate in infrastructure projects related to the BRI. Transport modernization in the Philippines will also reduce transportation time and cost between Europe and the archipelago. In 2015, the European Union and the Philippines started negotiations for a free trade agreement, which would help strengthen trade between the two regions. The BRI could speed up these exchanges. Share the post "The Philippines, a new BRI destination: what consequence for the EU?"